The Pakistani Army targeted defence and civilian facilities in Bhimber Gali sector of Poonch and in Rajouri's Balakote, Manjakote, Lambi Bari and Naika Panjgrian areas. 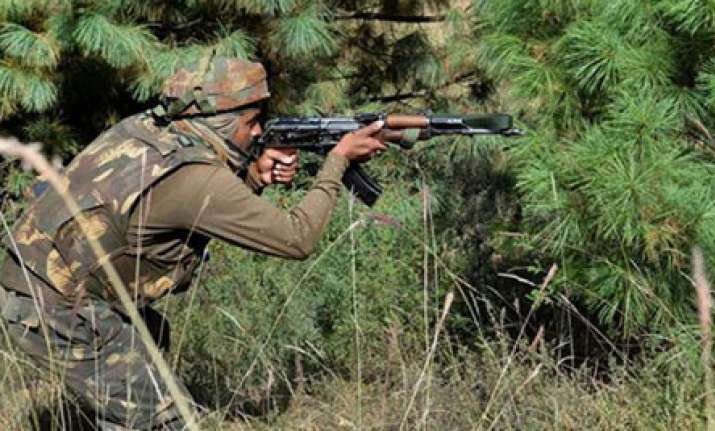 Heavy firing exchanges started on Tuesday between Indian and Pakistani troops along the Line of Control (LoC) in Jammu and Kashmir's Poonch and Rajouri districts, according to the Defence Ministry. Using small arms, automatics and mortars, Pakistani troops started firing at around 8.45 a.m., ministry sources said. The Pakistani Army targeted defence and civilian facilities in Bhimber Gali sector of Poonch and in Rajouri's Balakote, Manjakote, Lambi Bari and Naika Panjgrian areas, they added. Several students were trapped inside a school building in Rajouri as heavy firing and shelling continued outside. They have now been evacuated to safety, an official said. "Our troops retaliated effectively and strongly," Ministry sources said. All schools in the affected areas have been shut down until further orders, the administration said. On Monday, a top army officer said the increasing ceasefire violations by Pakistan were aimed at pushing more militants into the Indian side across the Line of Control (LoC). Speaking to the media, Lieutenant General A.K. Bhatt, commander of the army's Srinagar-headquartered 15 Corps, said: "We have inputs that many infiltrators are waiting at the launching pads. We think infiltration will start sooner this year (2018) because of less snow."